You pull together images (a Pinterest board works great for this) that capture the look/feel you are after for your wedding or event. The images can be of anything that inspires you: stationery, colors, fabric, typeface/font, patterns, etc. We can then hop on a call (or email or Skype) to discuss your inspiration and project direction. After identifying the general direction of your project I put together a proposal. After you approve of and sign the proposal and pay a 50% non-refundable deposit, design begins on your project! I will provide initial proofs for your review and after you have done so, you send to me changes/edits/revisions. After going back and forth with your project we land on a final design. When that design is approved by you the remaining balance of your project is due. Once that is paid your project is sent to the printer. Your project is done! 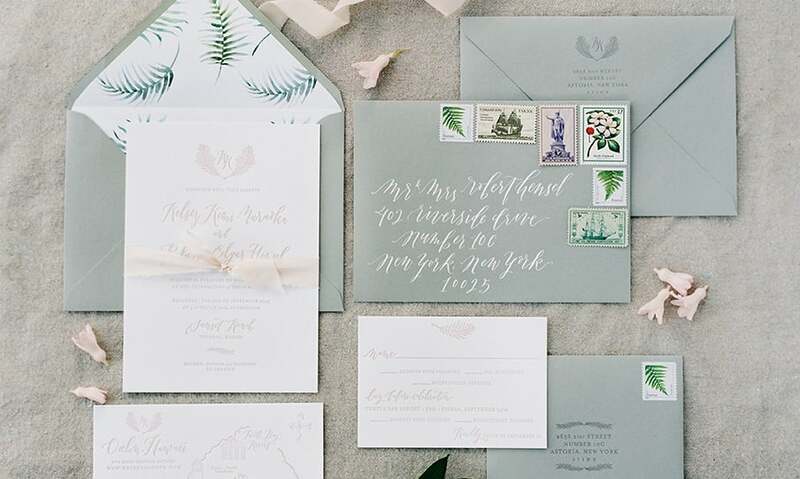 Get ready for calls/texts/emails from guests who are head over heels for your beautiful invitations!